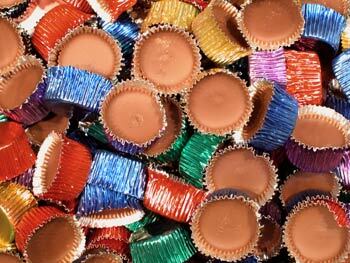 Favourite Chocolate Bar and Sweet From Your Childhood? Discussion in 'TalkCeltic Pub' started by FannyHaddock, Feb 5, 2019. 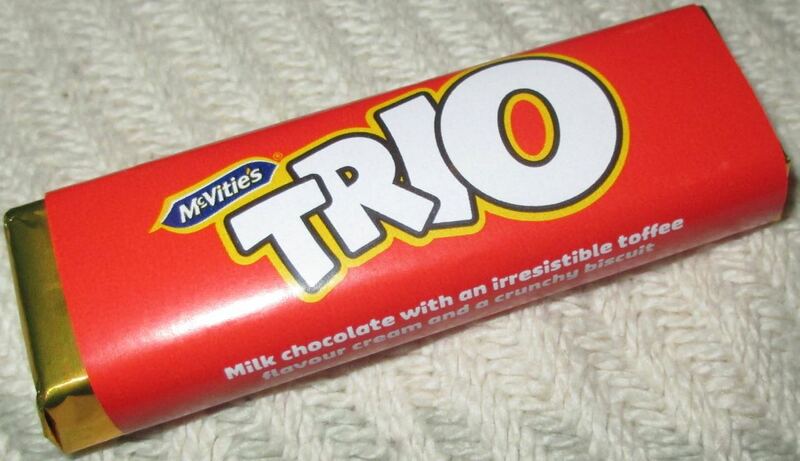 Discuss Favourite Chocolate Bar and Sweet From Your Childhood? in the TalkCeltic Pub area at TalkCeltic.net. 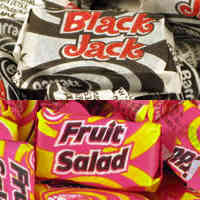 Considering some of the crap flavours about today, it baffles me why no one brings them back. bagforlife and Marie like this. 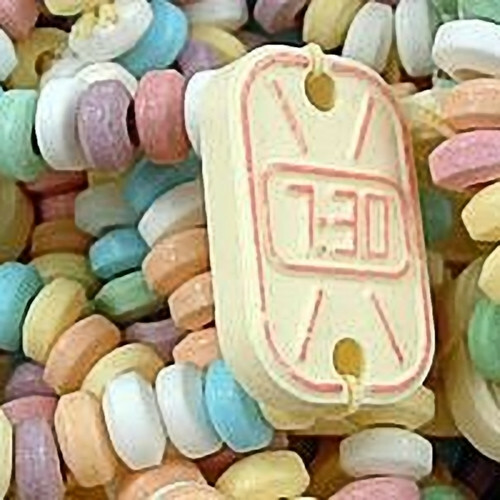 My Granda used to finish work early on a Friday to get me from school then buy me 50p worth of those badboys and a pack of X-Files cards. Had never watched X-Files before in my puff but it had gone on that long that I didn't have the heart to tell him I was only there for the Astro Belts. Bobo_, Cobbs67, TimFloyd and 3 others like this. It's no sweets but still, mind those puff crisps? 10p a bag. * loved those. Spent my £1 dinner money on 10 bags a day wish they'd come back. Stick them on a roll! I honestly looked at that and salivated lol....can taste them fizzing in my mouth now . Hated them , astro belts? 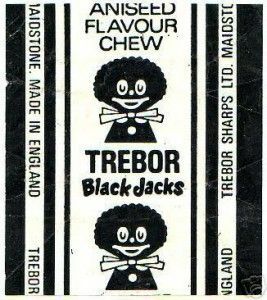 5p a go ,hated them so much i kept going back for more , mouth * , sand paper tongue but still stole ginjy bottles for my fix , caught in the end at school , had about 3 lbs of sugar in my pocket. bagforlife, Forestbhoy66 and Seán Mac D like this. packybhoy and bagforlife like this. Johnny Dogs, Marty McFly and bagforlife like this. 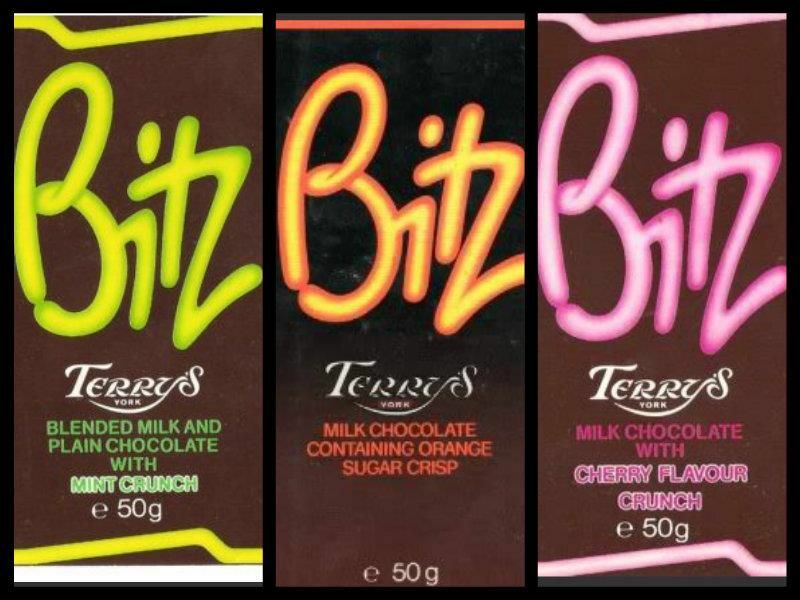 Any time I was off school sick my mum would buy me an orange Bitz once I was feeling well enough to eat chocolate. 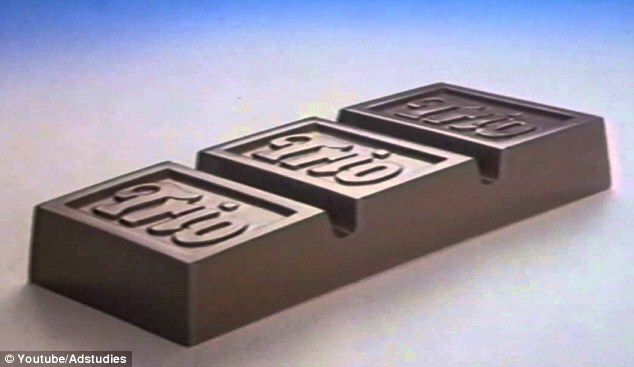 Others I miss are Cadbury's Fuse bars and I wish they would bring back the 100g Tiffins. Still get Tiffin in the ROI and a friend of mine always brings me back a bag of Irish Cadburys treats when she's over there visiting family. Years ago Cadbury changed their packaging to plastic from foil and the chocolate doesn't taste the same now. Sadly recently Cadburys Ireland changed to plastic too. Well they will have to drop the plastic packages soon enough. Black jack paper. Wow. That is so unacceptable at any time. And I remember at the time that image just seemed so child friendly and innocent. bagforlife, johnboy19 and packybhoy like this. bagforlife and packybhoy like this. Thombhoy79 and ticketyboo0 like this. I loved the wee chocolate tools you got from the ice-cream van. Seen them once in Germany, only much bigger. Dear as *. MB Bars were superb as well. No mention of flumps yet ? Or they wee watches you could ping the sweets from ? bagforlife and Johnny Dogs like this.